Join us for the 17th Annual Student Playwriting Festival! 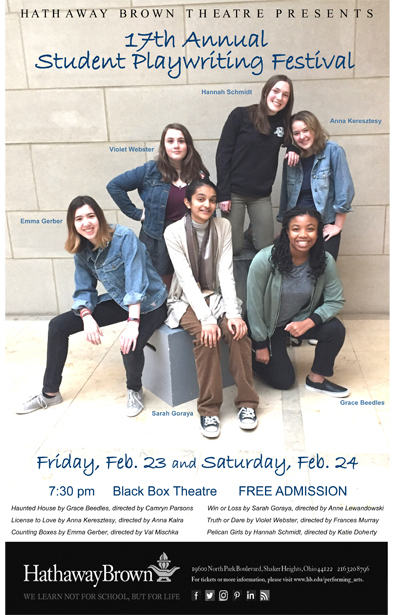 This event features six original plays written by HB students and directed by six HB Black Box Ensemble students. A variety of comedy, drama, horror, and even a musical! Free Admission. Limited Seating.